I love all the red blocks Candace. That quilt is going to be awesome!! Enjoy your time off with Mr. Squash. Wow they're gorgeous Candace! My seams don't always meet at the edges, but I'm getting better. Yours look pretty awesome to me! How'd the soup turn out, did you pressure cook it? You have inspired me to get busy working on my Winter Wonderland. 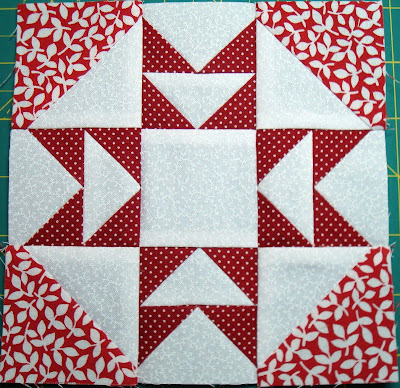 I haven't even started on the pieced blocks but love the way yours are turning out. Glad your snow is melting. Ours is too but another storm on the way tonight. Have fun picking out lighting! Your blocks look wonderful! I am quite partial to red. Glad you are going to have the week off and get to do whatever you choose. I hope your soup was yummy. My kids begged me to make them split pea soup and when I did (and they got to taste it for the first time) they gobbled it up! My friends think my kids are weird, I think they are wonderful! Love those blocks. Look like candy canes and Christmas still. Beautiful blocks. I am doing the Winter Wonderland in blues. Oh they are so pretty, and not one point cut off, I always cut off points! 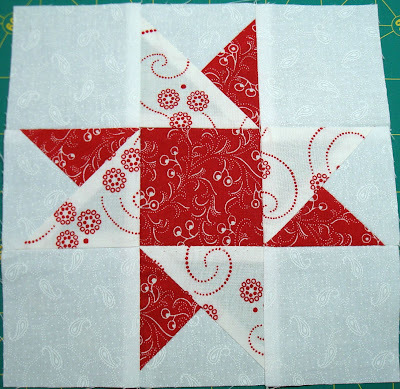 Red and white, I cannot wait to watch your progess on this beautiful quilt! I love your Winter Wonderland blocks - and those seams look pretty perfect to me! These are beautiful red and white blocks. 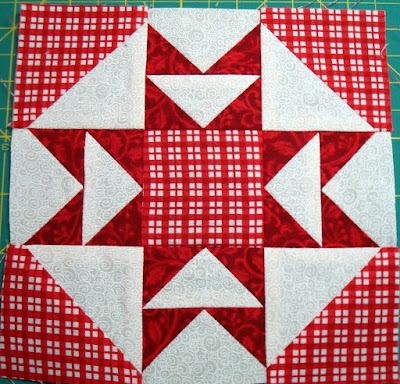 I've been making red and white (and yellow) blocks for what seems like forever, but I still like them. Woah! Those blocks are something else. You do such great work.